This exquisite royal blue and gold card is made from a classy shimmer board with a book fold. 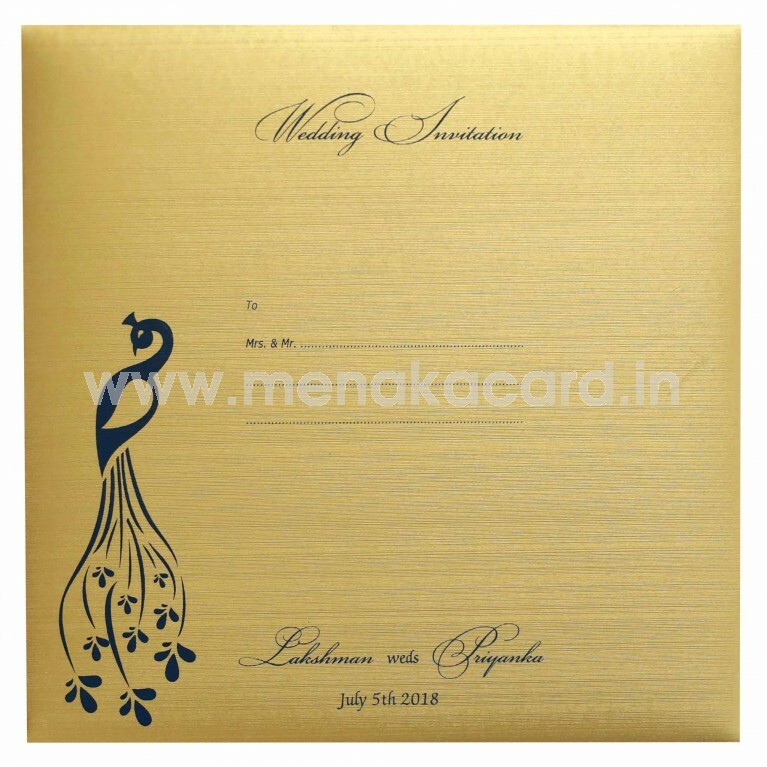 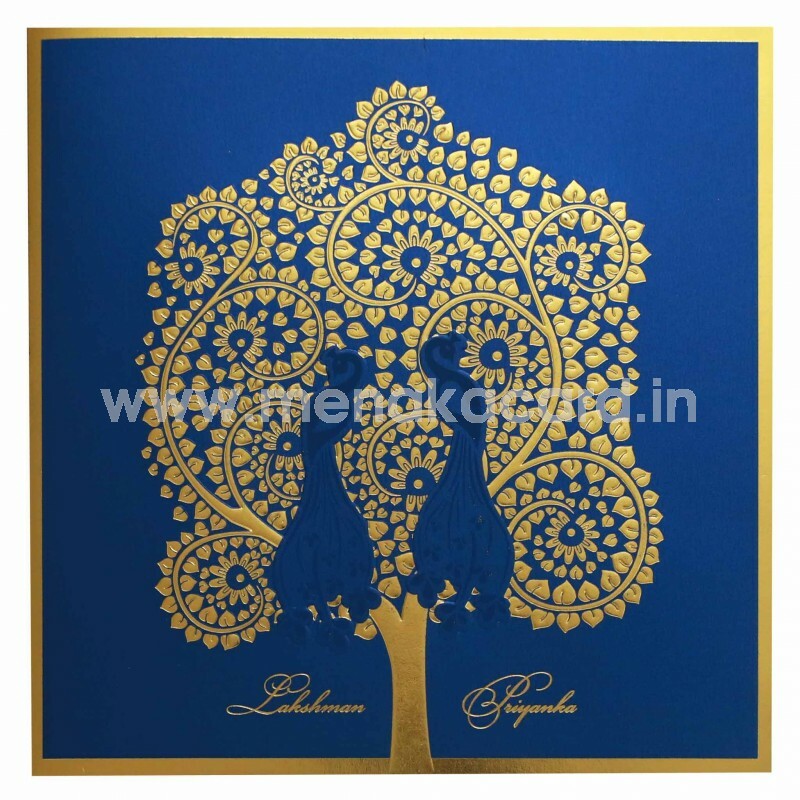 The front of the card is adorned with a beautiful gold foil tree embossed into the page with two blue lancer peacocks seated on the branches, which elevates the royal look of the card. The 2 default cream inserts of the card are seated in a simple card holder and are printed with contrasting text. 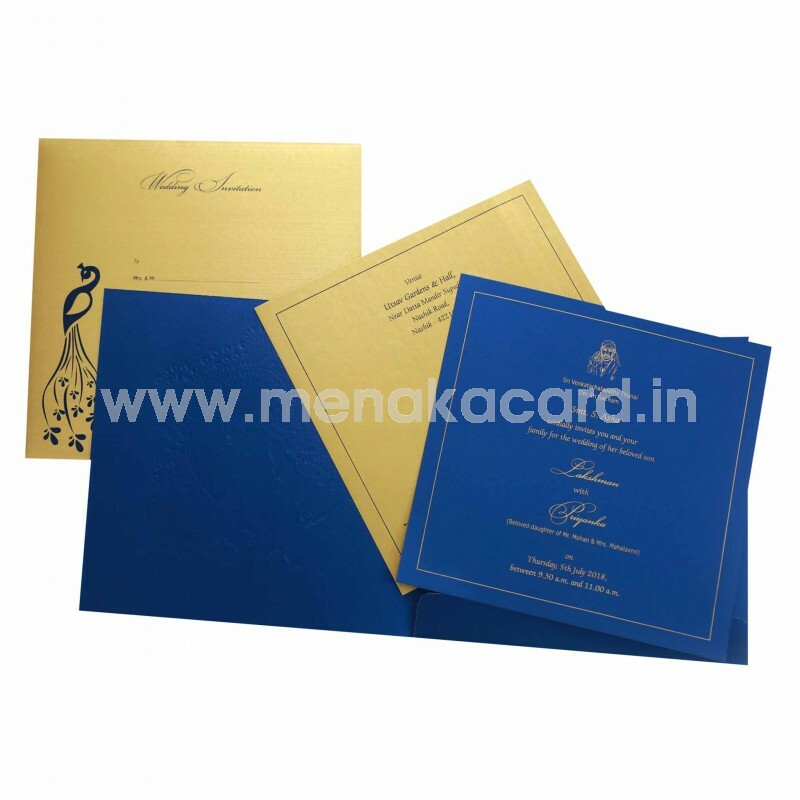 The envelope is a simple cover made from the same material. 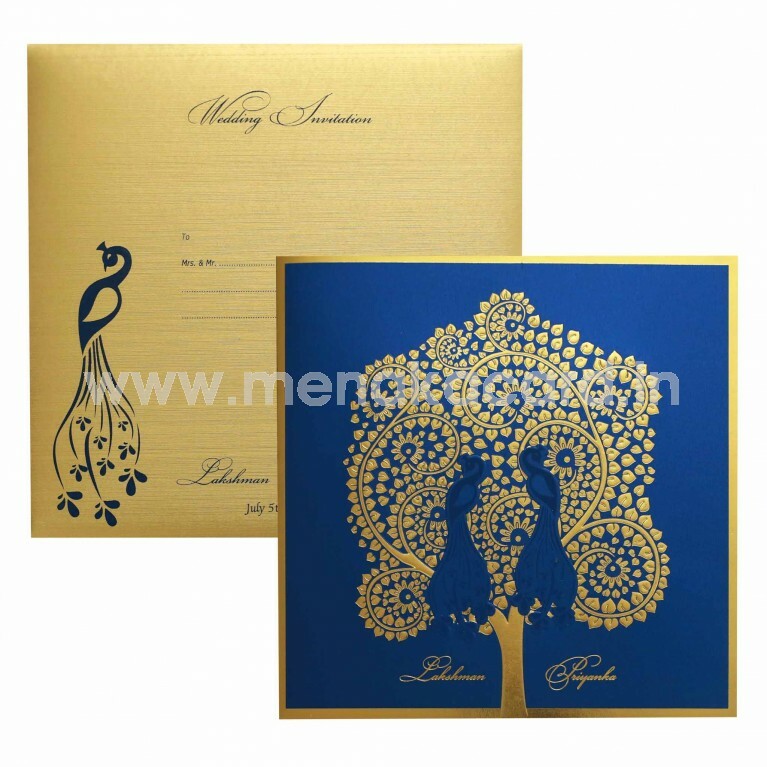 This can be used for Hindu, Muslim and Multi-faith weddings.